As you know, there was a huge push in 2018 to register people to vote. 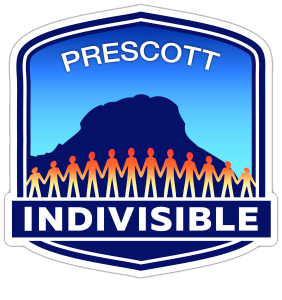 People were registered at the high schools, farmer’s markets, DORR office, by Indivisible Sedona, canvassers, etc in Yavapai and Coconino counties. This effort was spearheaded by Gail Digate. Women’s March Sedona had an intern helping. March for our Lives organizers asked us to register people to vote. Well, the AZ House of Representative has now passed a bill, HB 2616, to make registering a person to vote illegal. Registering someone to vote should not be a crime. The Senate Judiciary Committee will hear this bill on March 28. Could you please ask your groups to open this attachment and send a letter to them.